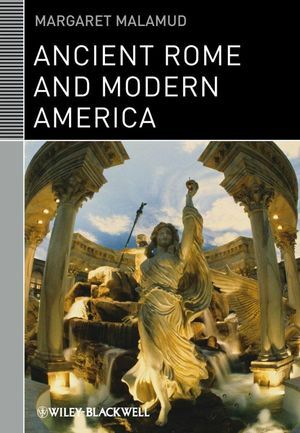 Ancient Rome and Modern America explores the vital role the narratives and images of Rome have played in America’s understanding of itself and its history. Margaret Malamud is associate professor of ancient history and Islamic Studies at New Mexico State University. She is co-editor of Imperial Projections: Ancient Rome in Modern Popular Culture (2001). 1. Exemplary Romans in the Early Republic. 3. Rome and the Politics of Slavery. 4. Corporate Caesars and Radical Reformers. 6. The Pleasures of Empire. 7. Screening Rome During the Great Depression.